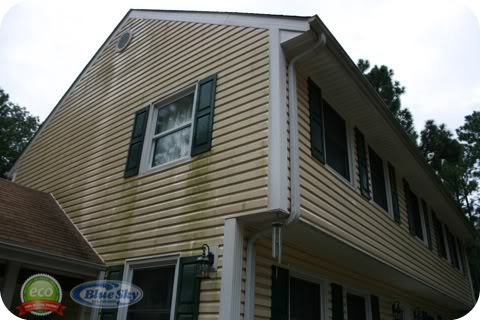 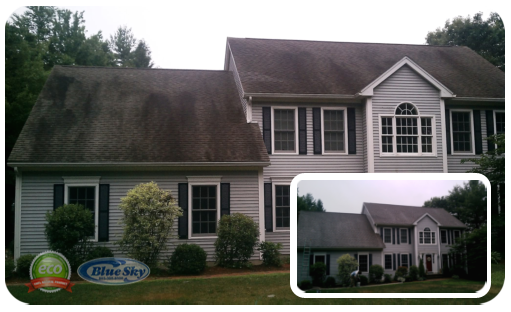 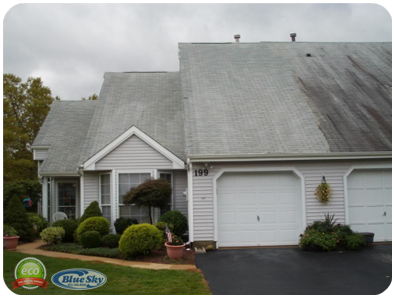 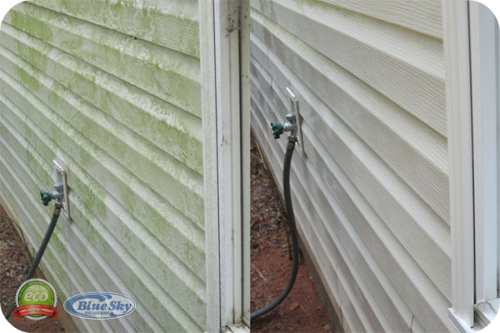 Power Washing Stucco & removing mold & algae in New Hampshire w/ Blue Sky Power Washing 603-594-9274 "WASH" Blue Sky Pressure Washing Services in New Hampshire & Mass Over 2500 Homes served! 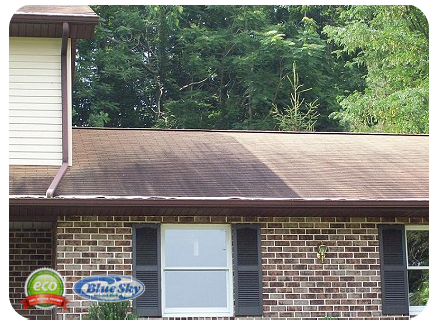 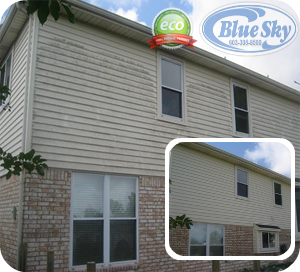 Blue Sky Pressure Washing knows all about stucco! 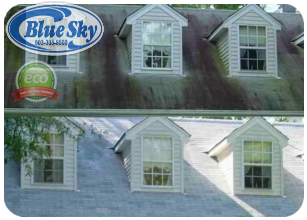 Pressure Washing Stucco exteriors are long lasting & fairly easy to maintain, making stucco a popular choice for nonwood frame structures. 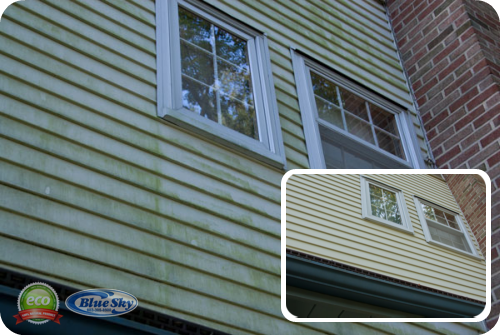 Unfortunately, stucco is prone to Mold & Algae and it tends to show dirt, which often splashes onto the siding during rain. 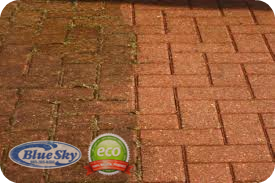 After mixing the proper soaps and detergents to tackle this job, Blue Sky applys it according to the accurate ratio needed to kill the algae, lift the dirt and mold while leaving the surrounding plants and flowers unharmed. 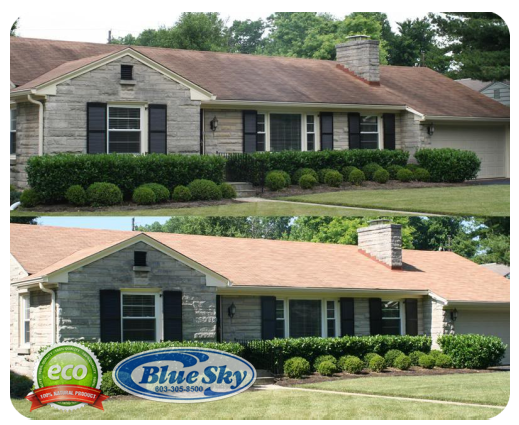 After appropriate dwell time to let the chemicals work on the surfaces, we proceeded to softwash "pressure equivalent to a garden hose" the unwanted mold, mildew, algae, and dirt away to achieve the desired end result…restored curb appeal! 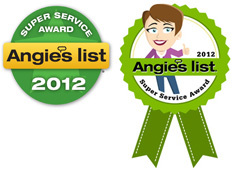 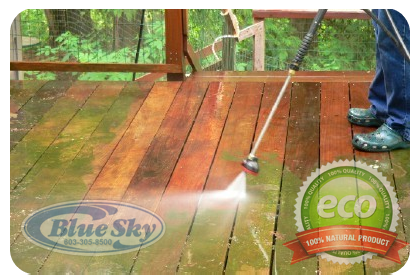 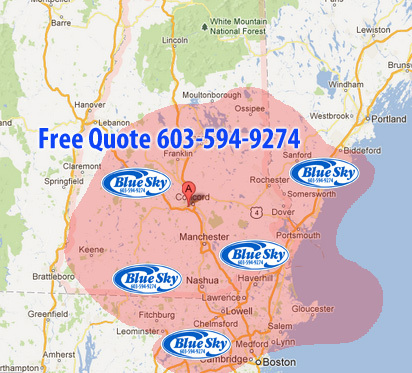 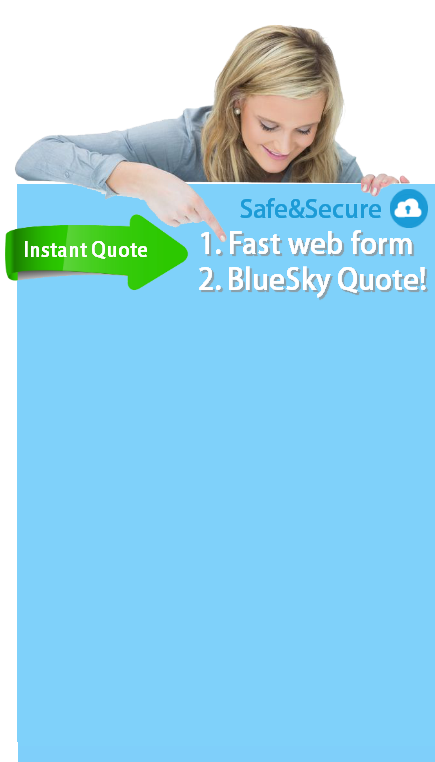 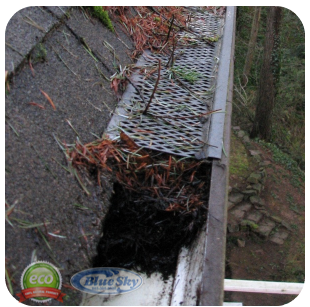 To Request a Blue Sky Quote call today 603-594-WASH(9274) Serving Main - New Hampshire & Massachusetts!